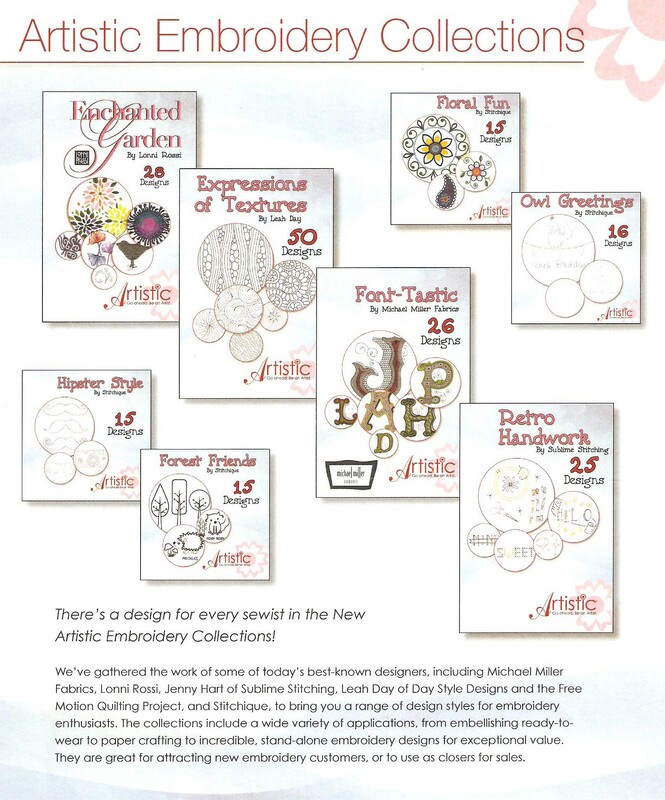 I am really enjoying stitching out all these wonderful designs that may be found on the 8 different ARTISTIC EMBROIDERY COLLECTION design CD’s that we have been featuring for some time. See pic below for all 8 collections – which are available at your local ELNA dealer in Canada and the USA. I had a great deal of fun combining and stitching out a bunch of the designs from ENCHANTED GARDEN by LONNI ROSSI. I have not had time yet to quilt the banner but it is all stitched out & sandwiched, ready to quilt when my neck & shoulders are a little better. I was inspired by thoughts of Spring …..hence my colour choices. 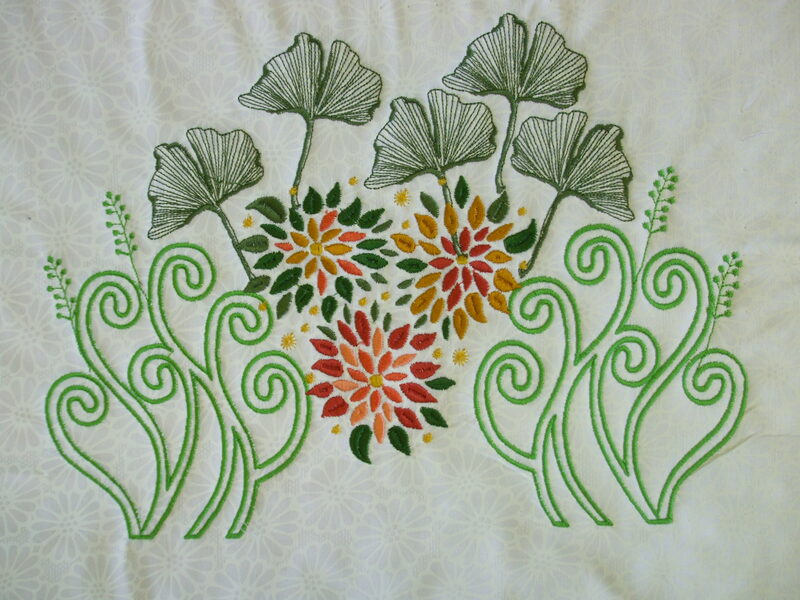 What will you be embroidering today? ……..maybe you will also make an enchanted garden? 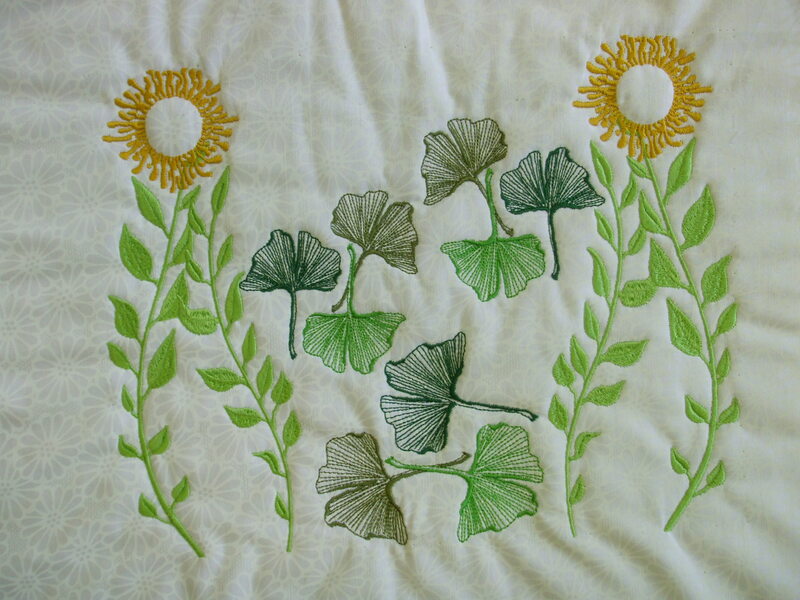 This entry was posted in EMBROIDERY PROJECTS WITH ELNA, QUILTING PROJECTS WITH ELNA and tagged ARTISTIC EMBROIDERY COLLECTION, EMBROIDERY DESIGNS FOR ELNA EMBROIDERY MACHINES, ENCHANTED GARDEN by LONNI ROSSI. Bookmark the permalink.